This is a guest post by Neha. If you want to guest post on Go Backpacking, please read more here. From April to late October the sun settles over the Adriatic; the days are long and warm, and are best enjoyed in summer whites, flip-flops, and a glass of something cold. It's the perfect time to visit, and if you do, here's my rough guide to the best of Croatia in ten stops. Zagreb is the capital of Croatia. It's a compact city, with most of the city's landmarks, the city center, the Lower Town and the historic quarters of Gornji Grad (Old Town) and Kaptol, all clustered around each other. Once you get the sights out of the way, imitate the locals by finding a cafe and spending the day people watching. Not far from Zagreb is the Plitvice Lakes National Park, a set of sixteen lakes formed on a regenerative karstic basin. As stone and water interact, they create a visual spectacle: cascades and waterfalls, natural limestone barriers, pools, underground streams and caves. The entire park, spread across two mountain ranges, is tied together with walkways and stairs, allowing visitors to explore the park in comfort. Rovinj is a sun tanned pastel town on the Istrian peninsula. Once ruled by the Venetians, it has a strong Italian vibe, but with a Croatian twist. After spending some time around town, above town (in the church bell tower) and in the sea, head to a summer fiesta to experience local traditions and delicacies as well as the local spirit. Motovun sits pretty on a hill above the Mirna Valley. This fairytale setting ensures the town's 12th century walls see a lot of activity, especially during the summer, in August there's the Motovun International Film Festival. Screens are set up along the town square as movie buffs gather by the thousands, and come October, foodies come out of the woodwork to take part in the “˜Day of Truffles,' celebrated across the valley. GroÅ¾njan is an artists' colony not far from Motovun. This was a ghost town in decay when a group of artists moved in during the mid sixties and transformed it. Today GroÅ¾njan is a center for art and culture, known for its eclectic artists, studios, galleries, workshops, music schools and concerts. It also has a fair share of wine bars and restaurants serving local delicacies. Split is Croatia's second city, and an important commercial hub. It is also home to one of Croatia's most significant historical sites – the 3rd century Diocletian Palace Complex. This historical theme stretches right up to the museum town of Trogir, a few kilometers from Split. Trogir is packed with landmarks, many of which are encased within the medieval town wall. 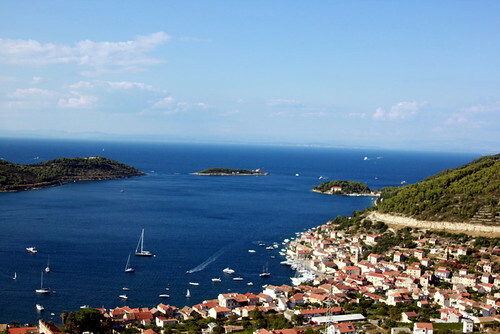 Hvar is known locally as the sunny island for the many hours of sunshine it enjoys year round. It is also known as the island of good living, with million dollar yachts and famous personalities a constant feature on the local marina. This high profile energy also makes Hvar quite the party destination, from high-end clubs to cruises and beach parties; be sure to pack in your dressy shoes. Vis is the furthest island on Croatia's Dalmatian coast. As a Yugoslav army base it was off limits to foreigners up till the mid 90's. Even today, it continues to be free of the summer rush common to the rest of Croatia. There's a decent party along the marina every now and then, but if it's a quiet break that you want, think ripening vineyards, quiet beaches and secluded bays – Vis is worth a visit. The island of Korchula has always been popular with travelers, which is fitting considering a legend that claims Marco Polo was born here. Its biggest town (and attraction) is the fortified 15th century Korchula town, also known as “˜Little Dubrovnik.' But the island is more than just one town, between vineyards, olive groves, fishing villages and sandy beaches, there isn't a minute to spare. Dubrovnik is Croatia's most famous destination, and with good reason. This 7th century town is counted amongst the world's most impressive fortified cities. Within the walls many worlds thrive, ancient towers and defense posts, historic churches and museums, and modern homes all stand tall along the same white stoned streets. And beyond the walls, the blue sea beckons. Excellent choices! Plitvice is absolutely a must see- so breathtaking. It’s safe to say, that if I ever go to Croatia, it’ll be because you can’t stop talking about it! Amazing pictures of such a lovely place. I think Vis is a lovely place, it looks very peaceful and relaxing. Great post Dave. Croatia was always on my bucket list but now after this article even more so. It is so gorgeous there. Thanks for sharing! 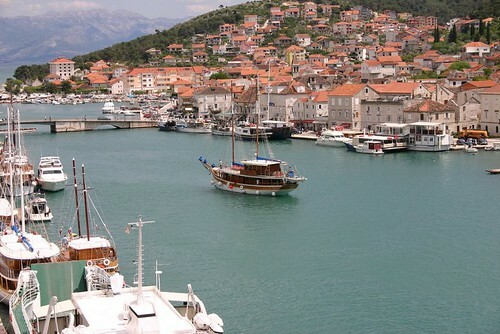 Much of Hvar is as unspoiled and quiet as other Dalmatian islands. But Hvar town, lined with discos, is best to avoid. Although, having spent entire summers in a tent, I no longer travel around Croatia as a backpacker. Wow,it looks very peaceful and relaxing. I am beginning my own website to share my images encounters. Do you discover it hard or effortless to publish regularly? Thanks for the best spots to visit. I’m looking for the best places to go in Croatia now. Planning my trip there for early October. I am from the 04.04.13 to the 13.04.13 in Croatia and would like to go back packing around and what would the cost be and where would i go . I am alone traveling.I would like to see your country and surrounding areas if permitted.Waiting to hear from you soon and many thanks.